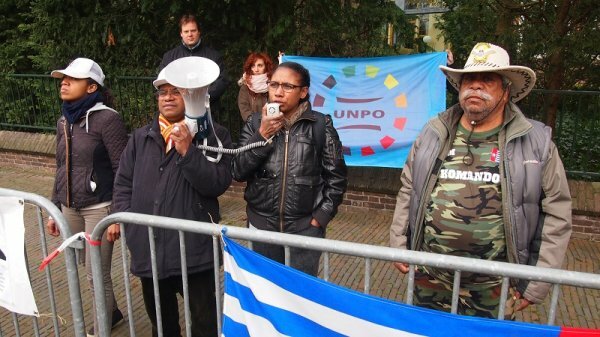 On 6 March 2015, during a demonstration that took place in front of the Embassy of the Republic of Indonesia, UNPO supported the representatives of the Organisasi Papua Merdeka (OPM) and the National Government of the Republic of West Papua (NGRWP) in exile. During a protest on 8 December 2014 in the highlands region of Paniai, five West Papuan youth were killed by Indonesian troops and police. The demonstration was aimed at demanding for justice for the Paniai Five. 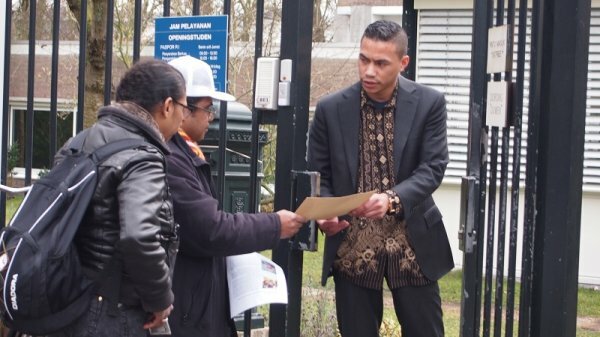 The representatives of OPM and NGRWP demanded for clarifications from the Indonesian Embassy in The Hague. They asked for justice for Simon Degei, Alpinus Gobai, Alfina Youw, Yulian Yeimo, and Abia Gobai, and they asked for investigations into the incident. During the demonstration, windows in the Embassy building slowly opened, and finally, the Head of Security came outside to receive the petition. 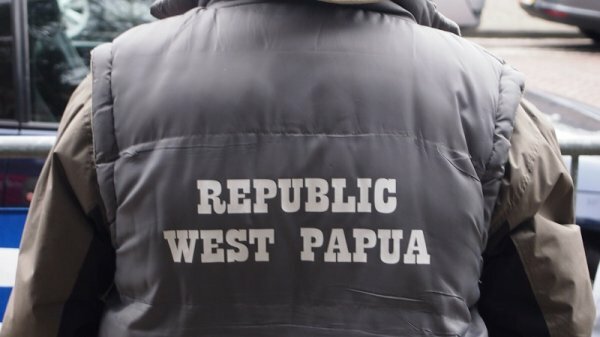 As there is little sign of progress into the investigation of the human rights violations in West Papua, the human rights situation in the area stays critical, and because the Indonesian government has been preventing reporters and foreign media to fully investigate the human rights violations against the Papuans for 50 years, UNPO is in solidarity with the West Papuan representatives. 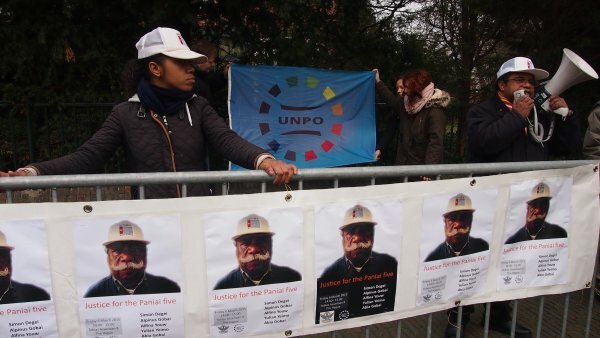 UNPO hopes that the Indonesian government takes its responsibility to provide justice for the victims, their families, and the West Papuan people.